Fitting in time for a workout throughout the work week isn’t always easy. Instead of hunkering down at your desk for the day, try getting active at lunch. Not only will you feel great about finding time for fitness, you’ll discover yourself re-energized for the rest of the day. This is a post by PumpUp member sandrafitness. Follow her on Instagram @langencita and follow her blog here. Today’s the International day of ”Imma gonna love myself just a bit more” well no, it’s not. And yet again, why am I doing this? Well… the other day I got through some very scary statistics, and you may be aware of this, but I think it’s veeeery important to spread the word just a bit more. 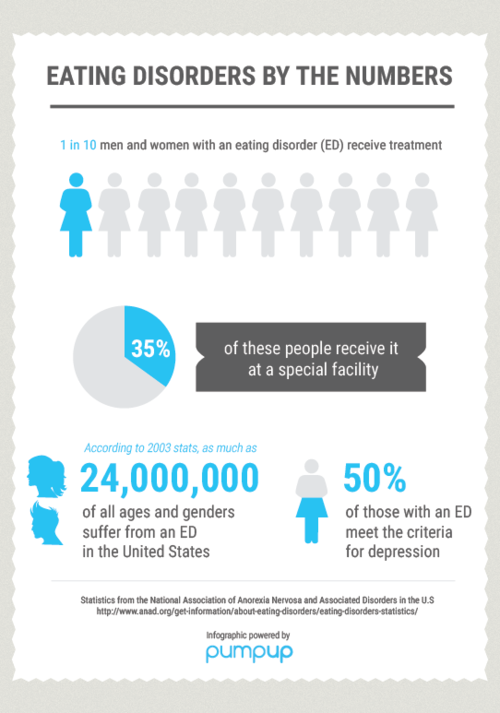 Almost 50% of people with eating disorders meet the criteria for depression. Only 1 in 10 men and women with eating disorders receive treatment. Only 35% of people that receive treatment for eating disorders get treatment at a specialized facility for eating disorders. Up to 24 million people of all ages and genders suffer from an eating disorder (anorexia, bulimia and binge eating disorder) in the U.S.
86% report onset of eating disorder by age 20; 43% report onset between ages of 16 and 20. Anorexia is the third most common chronic illness among adolescents. 95% of all dieters will regain their lost weight within 5 years. 35% of “normal dieters” progress to pathological dieting. Of those, 20-25% progress to partial or full-syndrome eating disorders. The body type portrayed in advertising as the ideal is possessed naturally by only 5% of American females. Well, right now we have the power to change this. 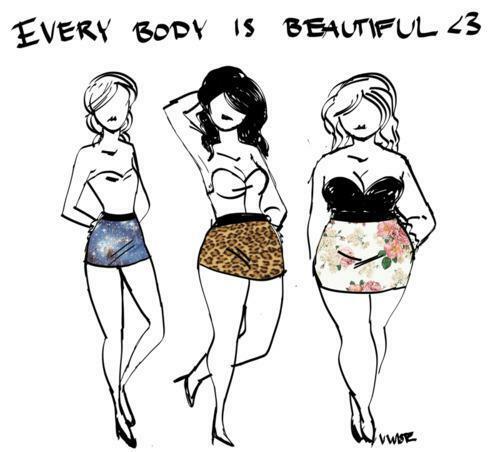 We can just tell someone else that they are just beautiful the way they are. We have the power – and with power comes responsibility- to change this by growing a generation of new girls and boys, who will not attack anyone by their looks. We can see a new generation, where girls won’t be ashamed for gaining a pound, a society where what’s inside will count more than the way you look. You may think it is not possible, but I am telling you it is. We can’t just blame media, we need to also blame our selves. We are the ones letting this affecting us, and the ones supporting that. But, we are not gonna be able to teach anything valuable if the concept of a positive body image don’t get into our heads first. And yes, I include myself, we all need to put a little more effort into this to make it happen. First we need to accept and embrace what we are, learn to love it. 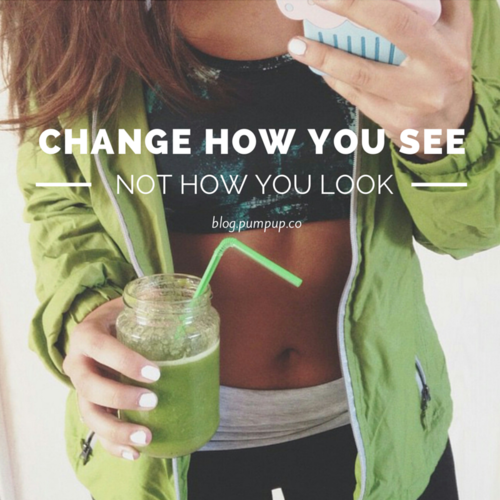 I think I have grown a lot in this sense, but I am not gonna lie, if someone would not like the way I look or would suggest I need to lose some extra pounds. I would surely feel down for some time, and the comment would be stuck in my head. However, I learnt to fight this by learning to love sport and fitness, not to see it as a punishment. It makes me happy and it really does help with my body perception. I hope, in a way this was useful to you and that I may have helped one of you.